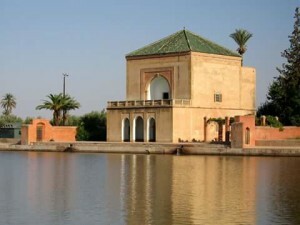 We will leave Marrakech early morning to start our 5 Days trip from Marrakech via atlas and Merzouga desert. We pass through Tizi-n-Tishka in the high Atlas Mountains and have short stops to take some photos. We will visit the Ait Ben Haddou village which is recognized by UNESCO as a world patrimony. It is also the best place for famous cinema directors. and then continue our day enjoying the beautiful natural landscapes of Roses Valley, which is known by Festival of roses. After we arrive to Dades Gorges we stay here to spent in local hotel. Today we arrive to Merzouga which is known for the highest sand dunes in North Africa. 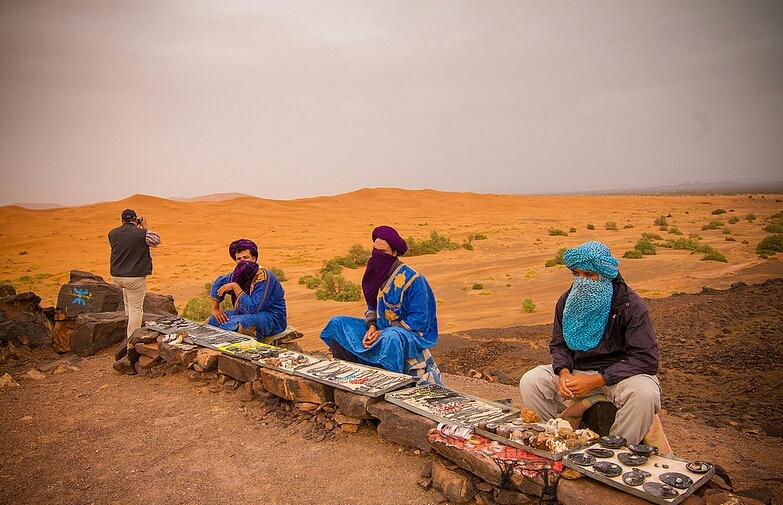 It is called Erg Chebbi Sahara desert .On our way, we will have the chance to see many oasis. 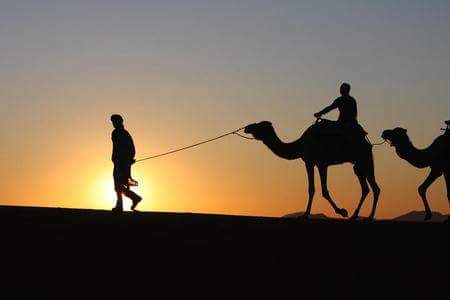 After Rissani we will continue our way enjoying the green oasis of palm trees of Ziz –Tafilalet and the black Hamada before arriving to Merzouga and greet our camels who are waiting to take us on an adventure in the sand dunes. We will spend the night in an equipped camp in the middle of the Sahara! This is a great opportunity to take lovely pictures of the sunset and sunrise. 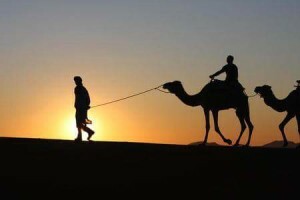 At this time, we will explore the secrets of the Sahara and its unlimited horizons. Today we spent the day by exploring Merzouga desert. You will have opportunity to take amazing pictures, you can also and we also explore the area by 4×4. We will visit Khamlia village ( black people) – famous for its music ‘Ginaoua’. We can’t miss opportunity to see perfect sunset in the sand dunes. We spent the night in Berber tents with local music and tasty local Tajin for dinner. After an early breakfast in the camp, we ride the camels back to the hotel to take shower, and then we start our trip to Draa valley. We will pass through oasis of Rissani and Berber villages, oasis of Nkoub and we stay overning in local hotel in Zagora. Today we will drive to Marrakesh, exploring Draa valley, Agdz, Ouarzazate and different Kasbahs along the way. Finally we get back to Marrakech and the end of our 5 days trip from Marrakech via atlas and Merzouga desert.